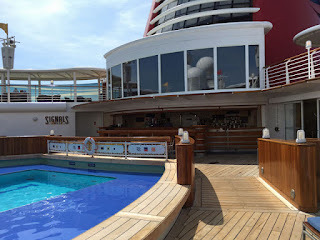 If you've ever brought up a Disney Cruise to those who aren't in the know, I bet you've heard the all too familiar phrase "Aren't there kids everywhere?!" 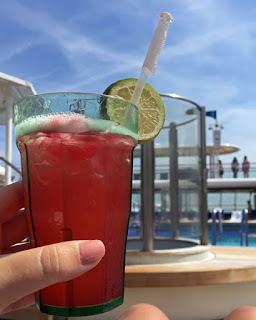 So today I wanted to share with you my top five reasons why I love Disney Cruising WITHOUT kids! I've personally taken three Disney Cruises and have my fourth one coming up, but none of these trips include kiddos. People look at me like I'm a bit nuts when I tell them this, since they equate the cruise line with fun loving children everywhere. (Don't get me wrong, DCL is absolutely fantastic for kids too!) But they truly have something for everyone. All the photos in this post are from my recent cruise on the Disney Magic (Mediterranean itinerary) but you should be able to find something similar on any of the ships in Disney's fleet! Disney Cruise Line has some of the best entertainment in the industry with their Broadway-caliber performances and fantastic on-board entertainers. 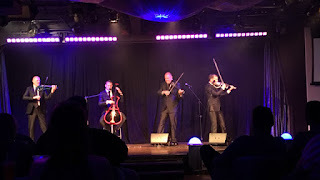 They have two main performances each night, corresponding with the two main dining times so that everyone can go and enjoy. These activities are not exclusively for adults, but they are not to be missed! You can grab a drink on your way in or if you get there early there are often servers available to get you a drink or a snack and bring it to your seat. So relax and enjoy! If you're on a longer cruise that has additional entertainment (magicians, musicians, etc!) keep an eye out for a more intimate, adult-only showings in the After Hours district and see them take it to another level. 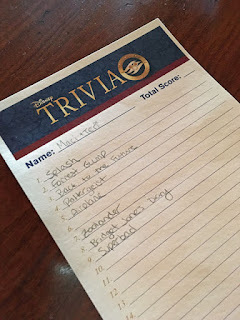 Throughout our cruise there was a wide variety of trivia opportunities going on. Some were for families and some were adults only (your Navigator will indicate which are which!) so this is something you can enjoy as a whole family too if you wish. One of our favorites was Movie Quote Trivia (not just Disney movies). This was a true challenge for us but so much fun as our Club Host Jo took on the personas of the quotes he was trying to portray. Some of the others throughout the trip were Disney Villain Quotes and 80s Music, complete with 80s dance moves! There's always something new to learn and Disney Cruise Line makes sure you have an abundance of opportunities. From mixology and wine tasting (additional fees apply for the tasting classes) to cooking classes and even towel animal creating (these ones are complimentary! ), you're sure to find something to spark your interest. A highlight for us on my recent cruise was "Anyone Can Cook: Apple Strudel" inspired by Ratatouille. 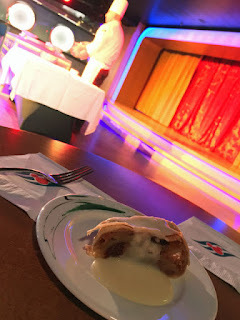 We got to watch a demonstration by one of the wonderful pastry chefs on board as he (very impressively) stretched the dough and gave us tips on how to create this at home. We got to taste the delectable creation and got a little lesson on the wine they had paired it with. They also provide you with the recipe for when you are ready to recreate yourself! All of the Disney ships have the adults-only dining Palo and the Dream and Fantasy also include Remy. There is an additional fee to enjoy these restaurants, but they will tantalize your taste-buds with an amazing and elegant experience. 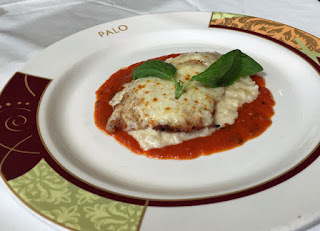 You can plan a dinner at these restaurants instead of your regularly scheduled main dining room or on longer cruises you can enjoy brunch at Palo on a sea day. 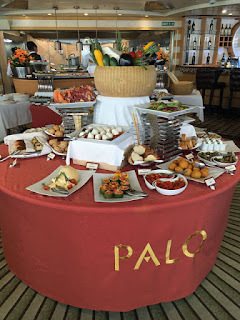 We opted for brunch ($30 per person) on our recent cruise and were incredibly impressed with the selection and quality of both the food and service. Just one of the cold buffet tables Palo offers for brunch! This is your vacation after all! Just sit back and enjoy. All of the ships offer an adults-only pool area, often having live music on sea days. Grab a good book and your shades and hang out for a while. The sun not your thing? Head inside to Senses Spa and splurge on a massage or get a pass to the incredibly peaceful Rainforest Room (spa services do have additional fees). And who says you can't just take a little "me" time on your veranda or a lounger along Deck 4 and just watch the world go by?! 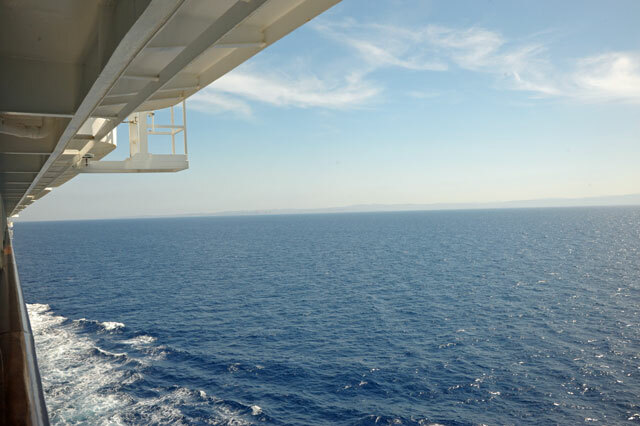 It's so easy to get caught up on all Disney Cruise Line has to offer, it's okay to take a break and just relax every once in a while! 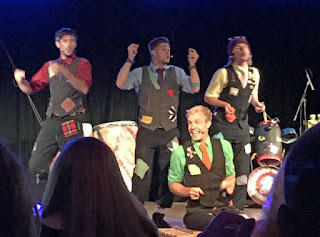 It was really hard for me to pick just five things to list for adults on Disney Cruise Line, as there's so much to enjoy (and there is never enough time to get to it all!) What do you enjoy most for adults on the Disney Cruise Line? Share your favorites in the comments below! Ready to book your next adventure? Contact Kingdom Konsultants for your free quote today!